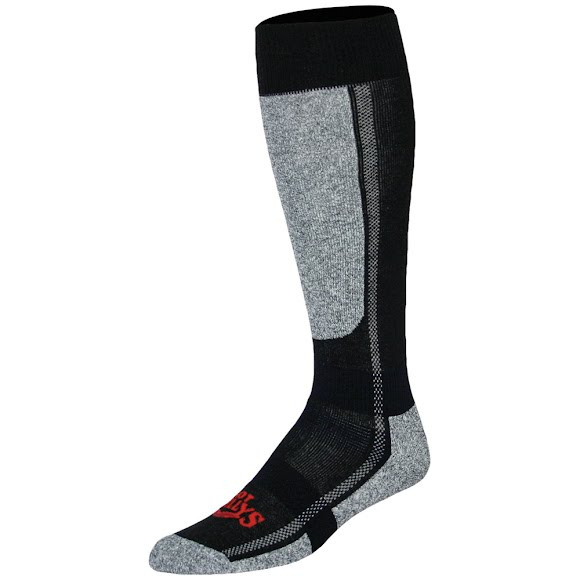 Hot Chillys' Mid Volume Socks are designed with a slight increase in weight for greater comfort and warmth; these socks were engineered to be worn where boot fit and performance are required. Hot Chillys &apos; Mid Volume Socks are designed with a slight increase in weight for greater comfort and warmth; these socks were engineered to be worn where boot fit and performance are required. Motion control arch support band and articulated foot breaks also help reduce bulk.